The goal with this build was to get it working as fast as possible. This build uses 3 Windows Pro tablets, all running Sim Innovations Air Manager. 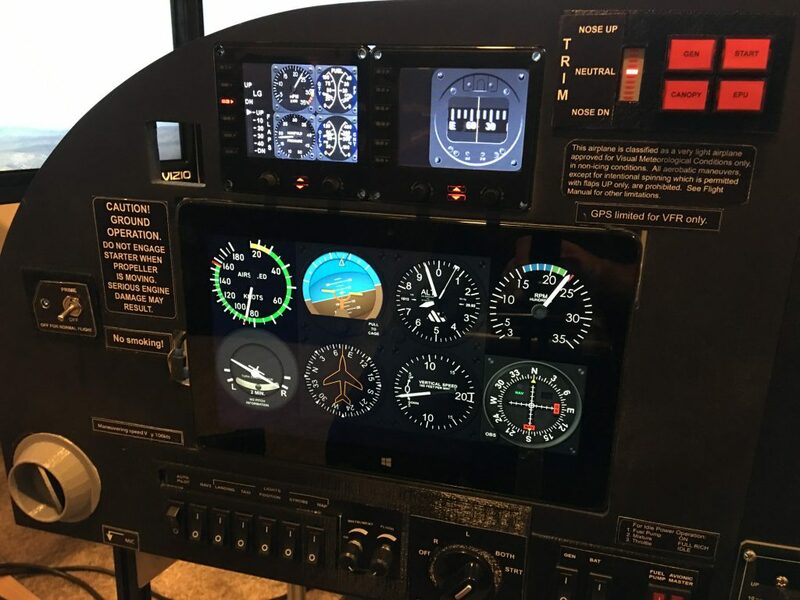 The left panel would run all six pack instruments, plus VOR/Tach, the center would run at least one Garmin 430 and the right panel would run all of my engine gauges. Measure twice, cut once has never really applied to me, unfortunately. Many learned lessons from mistakes on this one. My goal with this build is to incorporate the Saitek Instrument Panels with the 3 piece CNC cut cockpit panel. After trying many methods to design the panels, I wound up using my old fall-back for design, Adobe Illustrator. I exported SVG files for use in the Inventable Easel web app to run on the X-Carve. I burned through about 10 2′ X 2′ panels from Lowes to make these, and learned a lot of valuable lessons! Problem: How to split the design into the space limitations of the X-Carve. Solution: Split the design using Illustrator ‘cutting’ tools then loading into Easel separately. Result: Worked great, but still needed to cut it into 3 sections. Problem: How to paint the panel for realism? 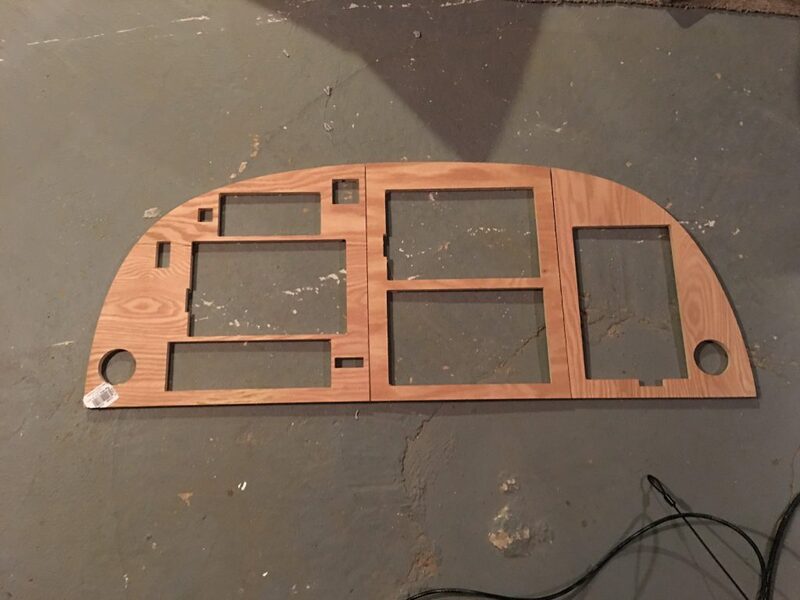 Problem: How to attach the panels together seamlessly? Solution: Many random flat brackets and miscellaneous leftover hardware and screws. Result: Ugly, loose, unprofessional and can’t wait to tear this apart again. Problem: How to physically attach all components? Result: Works well, but very time consuming to the point of obsession to get it perfect. At least I got the tolerances down now.